Judge C.R. Magney State Park: More than Devil’s Kettle – Travel. Garden. Eat. 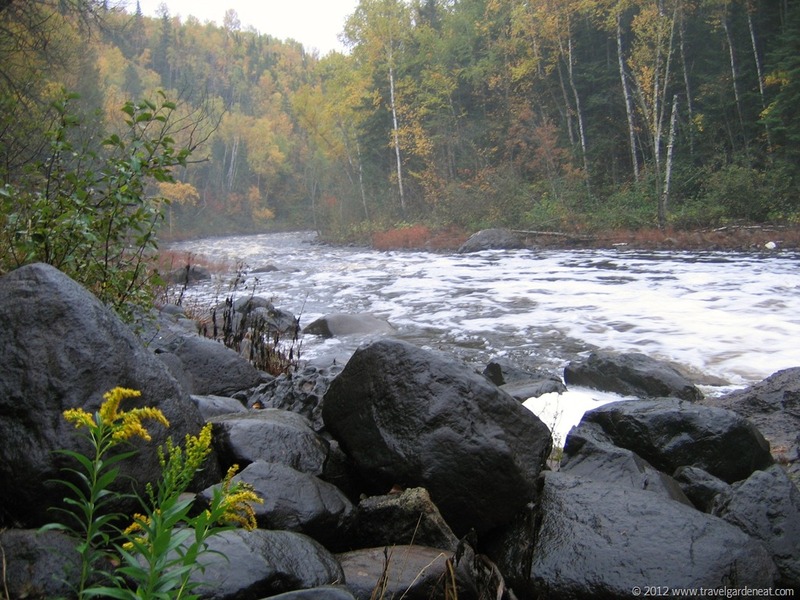 Many of Minnesota’s beautiful state parks become known for one particular feature or trail. In the case of Judge C.R. 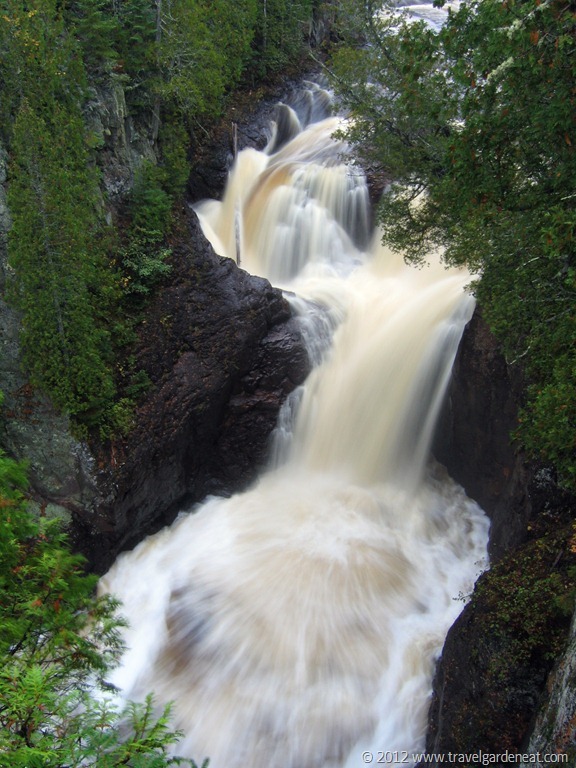 Magney State Park, the Devil’s Kettle waterfall is usually the “can’t miss” sight. When the water is running high, as it was when I took the first few photos back in the fall of 2007 (and never again have I managed to properly set my camera to capture the rushing water blurred just so! ), it is exhilarating to hike the narrow path — going up and down the steep wooden stairs, and then standing at the edge of the falls and feeling the water spray as it mysteriously streams into a large opening in the rock, seeming to disappear into the depths of the earth. 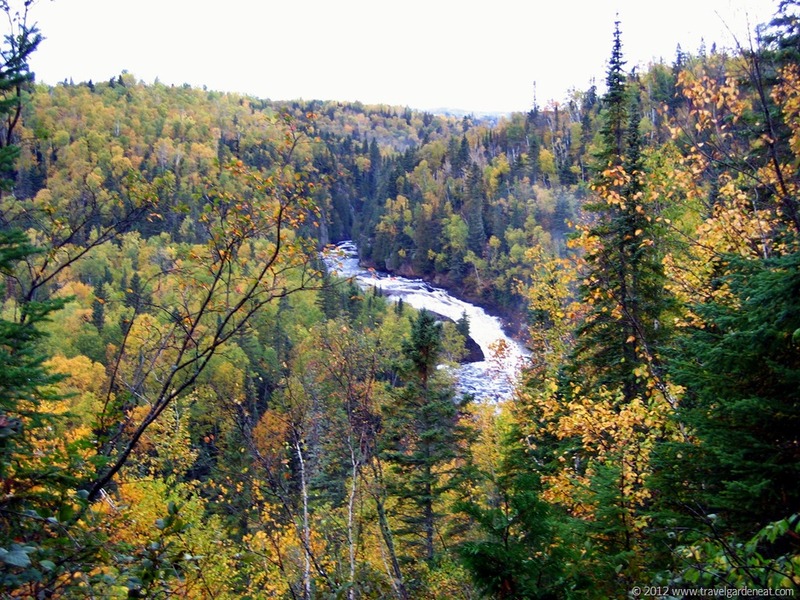 The falls empty into the Brule River which winds its way through the rolling hills, just northeast of Grand Marais, Minnesota. Judge C.R. Magney State Park is not a heavily traveled park, particularly if you wander off of the main Devil’s Kettle trail. Many years ago, my husband and I camped at the park, which has several lovely spots for tent campers. This fall, during autumn’s last hurrah at the end of September, we headed to Judge C.R. Magney State Park to capture our fourth geocache in the Minnesota State Park’s Avian Adventure. The activity led us to the Timberdoodle Trail, a short self-guided loop which had many interpretive markers along the way. Leaves were not only past peak in color, but thinning out significantly as we walked along the leaf-strewn path. 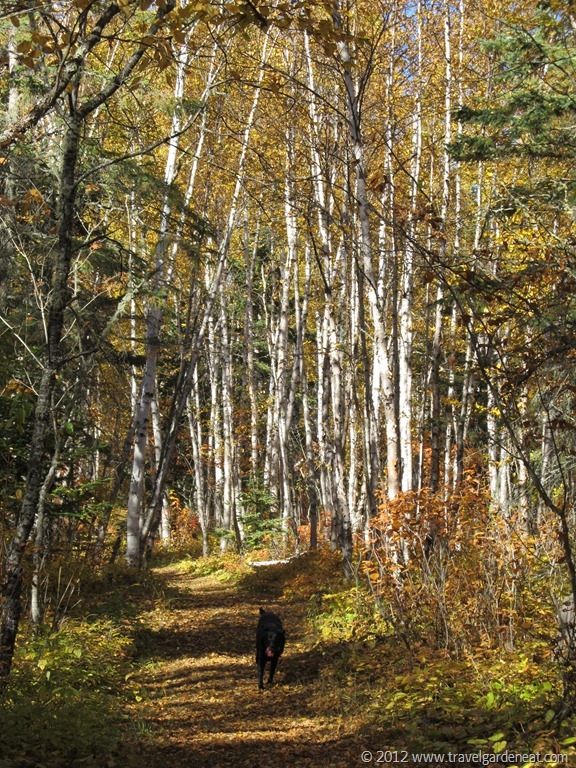 The almost-barren birch stood like sentries on either side of the trail, marking our way. Whether you take the classic river trail, or meander along a forest path, Judge C.R. 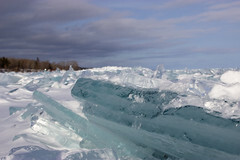 Magney is a state park where you can enjoy peaceful solitude. Then, Kat, capture another one you will! 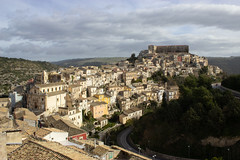 Until then, I would submit this picture for all photography contests:) It’s already a masterpiece! 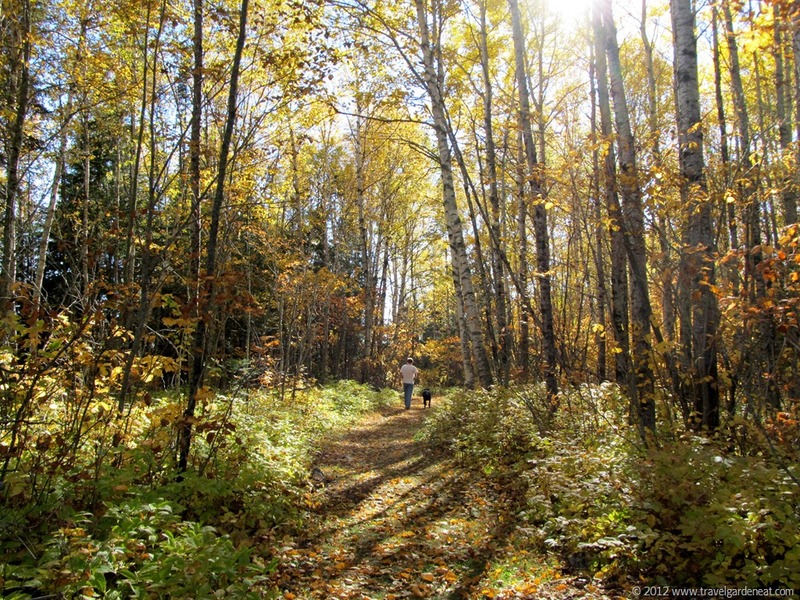 Pingback: Geocaching in Cascade River State Park | Travel. Garden. Eat.